Cavallari et al. 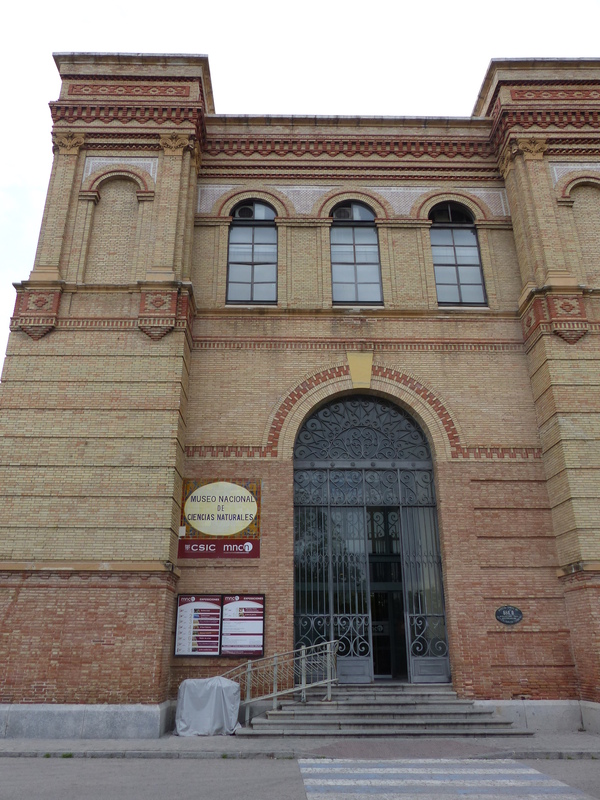 just published a review on the collection of the Sao Paulo Museu de Zoologia. 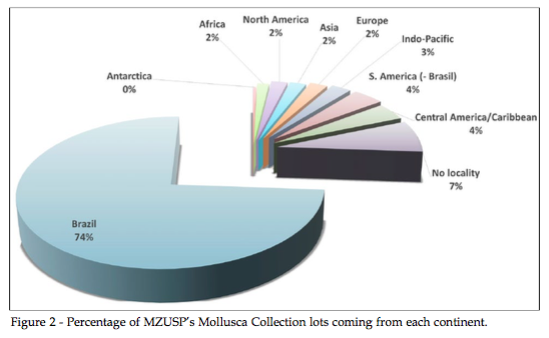 “The Mollusca Collection of the University of São Paulo Museum of Zoology is a secular assemblage, possibly one of the largest in Latin America, reaching a total of 123,000 lots and over 1.2 million specimens. Its coverage in terms of geography and biodiversity encompasses the entire Brazilian territory and over 130 countries, and its specimens are the starting point for important studies in the field of Malacology. In this study, numbers, curatorial aspects and the Collection’s role in education, research and extension are addressed. Challenges and future prospects are also presented and discussed”. In the discussion attention is given to the gaps in the territorial coverage of the collection and the need for curatorial attention of this huge collection in a time of diminishing financial support for basic research in zoology and taxonomy. Cavallari, D.C. et al., 2016. 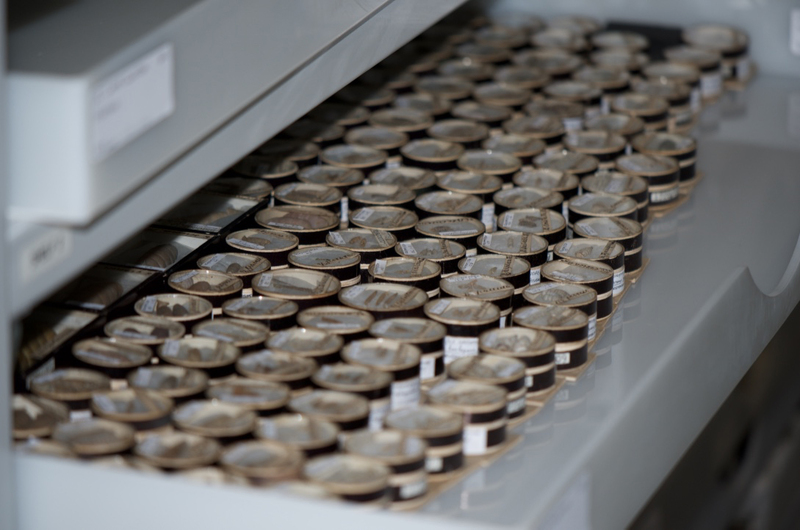 The mollusk collection of University of São Paulo Museum of Zoology: an overview and perspectives. – Arquivos de Ciências do Mar 49 (Suppl. ): 40–45. This entry was posted in Uncategorized and tagged brazil, collections, literature on December 9, 2016 by bramb. Ignoring the obvious errors in the name, it’s at least a way to give the public a preview of what’s inside. Today I gave, as part of my Synthesys visit, a presentation. The topic was “Historical collections and ancient science networks”. See the PDF CCP_ancient science networks. 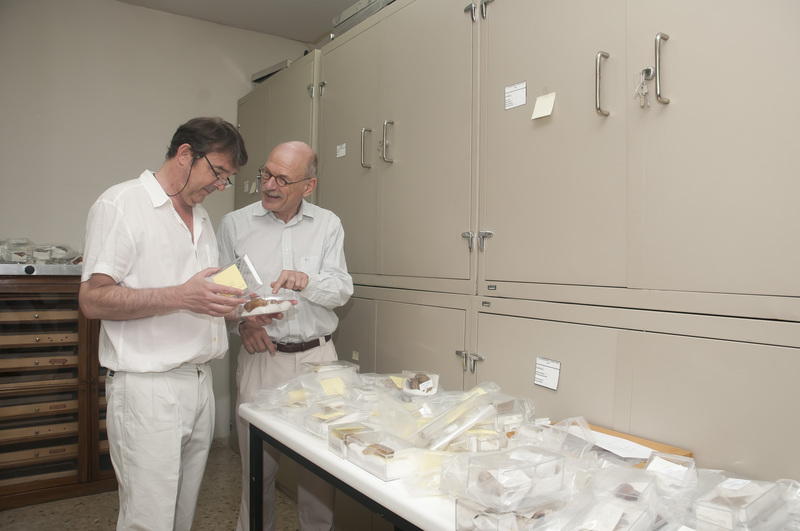 Also a photographer came, so I suppose they want to show off their Synthesys visitors somehow; anyhow, below you see me with my host Rafael Araujo in the storage room of the terrestrial molluscs with part of the material collected by the Comisión Cientifica del Pacifico. All 230, earlier recognised lots have been revised, but on my way I also found a considerable number of additional lots, included some overlooked type material. In due time it will result in another manuscript. This entry was posted in Uncategorized and tagged collections, types, varia on June 8, 2016 by bramb. During the 19th century several amateur conchologists have made interesting collections which – after their death – have either been donated to museums, been auctioned or sold, or have disappeared. Often their fate has not been well documented. One of these 19th century collectors was Miss Janet E. Linter (1844-1909), who lived in Twickenham near London. Hardly anything is known about this lady-conchologist (a rare combination during her time), with only two very brief death notices being published after her death (Anonymous, 1909; E.A. Smith, 1910). 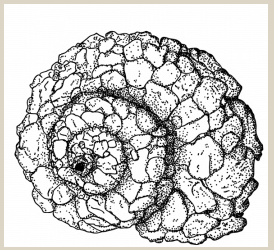 Smith remarked that she had been a member of the Malacological Society of London since 1895, and added “of a retiring disposition Miss Linter did not attend the meetings of the Society, and consequently was not known personally to many of the members. She was, however, an enthusiastic collector, and her cabinets contained very many rare and interesting species, more especially of land shells. Many of these came from the collections made in India by W. Theobald and Colonel Skinner”. Tomlin (1949) mentioned that her collection was sold in 1909; Dance (1966) listed her collection as being in the Exeter museum. I came across her name several times. First, G.B. Sowerby III gave her an eponym in 1890 by describing Bulimus fulminates linterae from Mount Roraima on the border of Venezuela and Guyana [now Plekocheilus (P.) linterae]. It is likely that he knew this lady personally and saw her collection. Furthermore she was a correspondent of Dautzenberg and received many reprints of his papers (Breure, 2015; Breure, unpublished data). The obituary in The Nautilus signals she was well-known among American conchologists too. Last week I received some messages from Graham Oliver (Cardiff Museum), who visited the museum in Exeter and inspected the Linter collection, which is still kept separate. He wrote “Her shells seem in very good condition and from many rather unusual places. 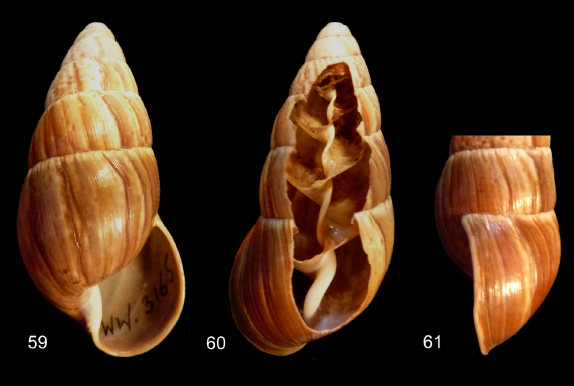 (…) This collection is rather large and primarily of land snails for all over the world. There are significant holdings from Pacific Islands, S. America, India, Africa and Australasia. She began by acquiring the Skinner and Theobald collections so very strong in Indian subcontinent material. (…) The collection has been in Exeter since 1902!”. He asked for my opinion about the South American part of the Linter collection, containing over 400 lots. I noticed several rare species, one of which is very interesting for a work in progress; more about it in a next post. Finally, it is interesting that Graham noticed on one of the labels the price Miss Linter paid for a shell during an auction: “One [label] indicates that she bought shells from the Barclay sale and paid high prices, £4 for a large cyclophorid in the 1880/90s was a lot of money then”. This case demonstrates again that it is worthwhile to document the history of collections and collectors. Anonymous (1909). Miss J.E. Linter. – The Nautilus 23: 84. Breure, A.S.H. (2015). The malacological handwritings in the autograph collection of the Ph. Dautzenberg archives, Brussels. – Folia conchyliologica 33: 1–111. Dance, S.P. (1966). 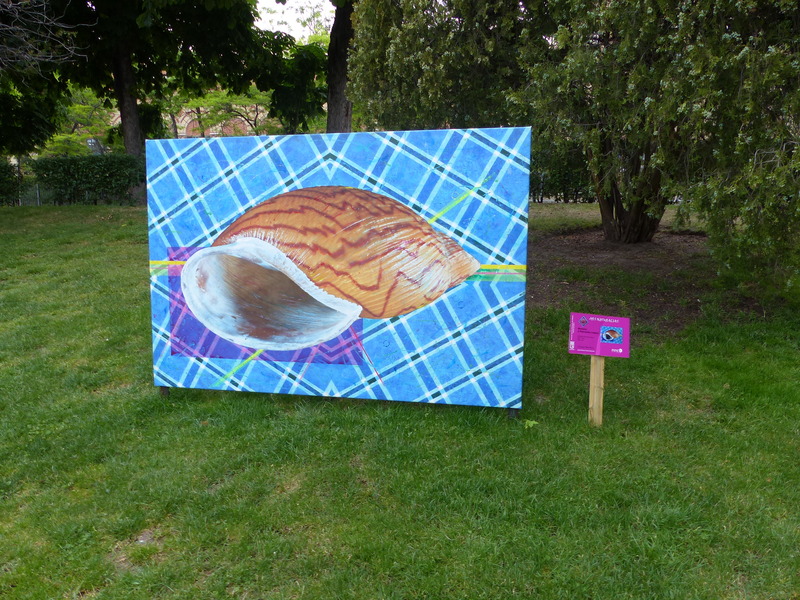 Shell collecting, an illustrated history: 1–344. University of California Press, Berkeley/Los Angeles. Smith, E.A. (1910). 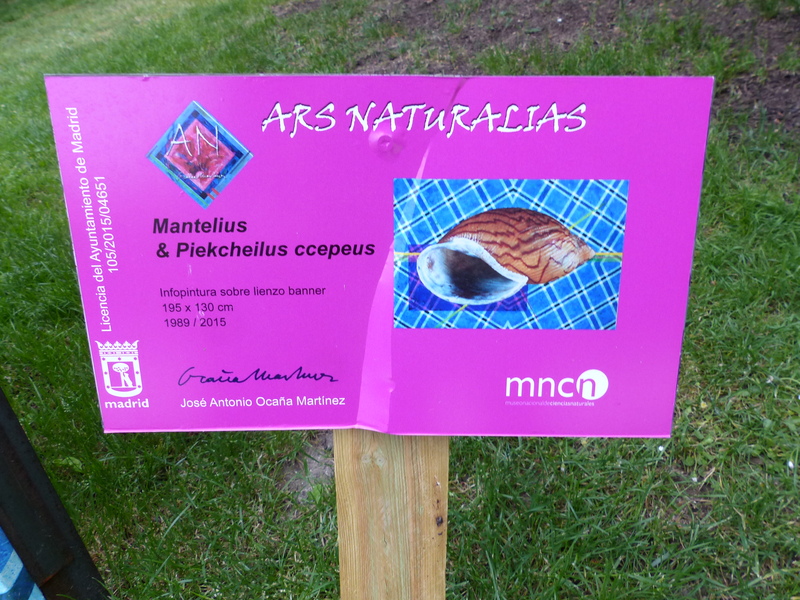 Obituary notice – Proceedings of the Malacological Society of London 9: 89. Tomlin, J.R. le B. (1949). Shell sales, VI. – Proceedings of the Malacological Society of London 27: 254. 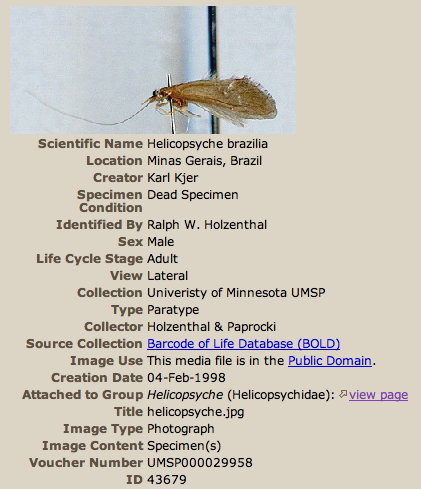 This entry was posted in Uncategorized and tagged biohistory, collections on December 7, 2015 by bramb. Last week a new paper was published on the Weyrauch heritage. 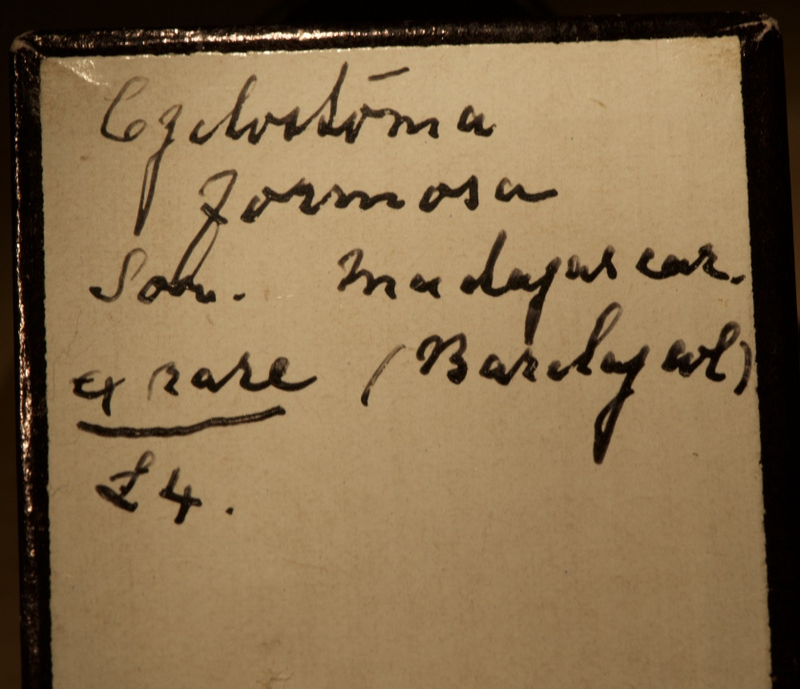 It contains a list of his taxa at the species level, partly a repeat of Barbosa et al. (2008) but with more exact data on his type localities. A list of taxa described by other authors based on Weyrauch’s material has been included. Finally, most of the Orthalicoidea type material present in the Tucum? ?n museum is here figured for the first time. Barbosa, A.F., Delhey, V.K. & Coan, E.V., 2008. Molluscan names and malacological contributions by Wolfgang Karl Weyrauch (1907-1970) with a brief biography. – Malacologia 50: 265-277. Breure, A.S.H., 2012. 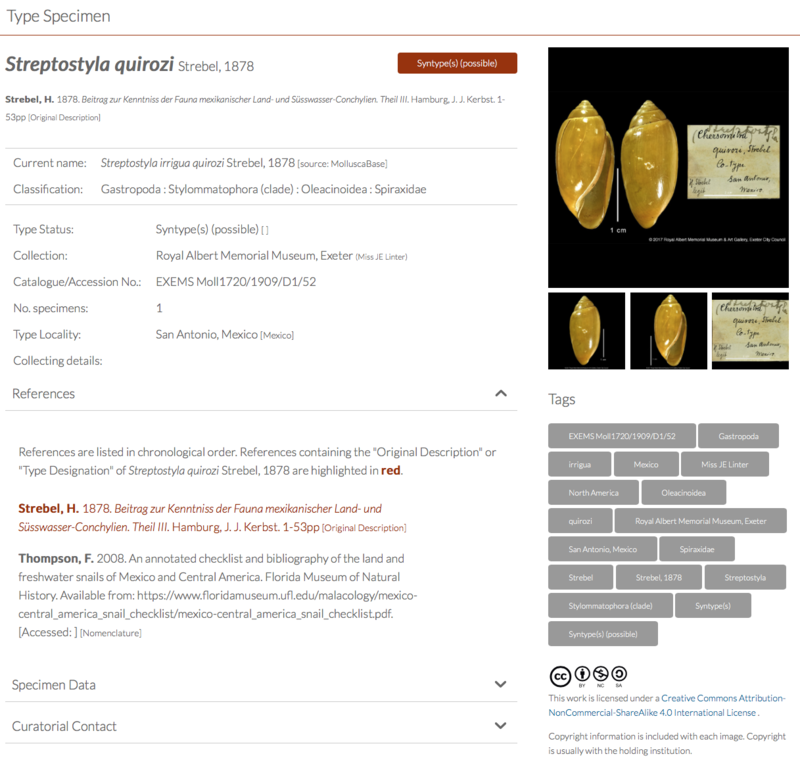 Weyrauch’s type localities: a clarification; with illustrations of types of Orthalicoidea (Mollusca, Gastropoda, Stylommatophora) in the Tucum? ?n museum. – Folia conchyliologica 17: 4-24. This entry was posted in Uncategorized and tagged collections, taxonomy on March 19, 2012 by bramb.